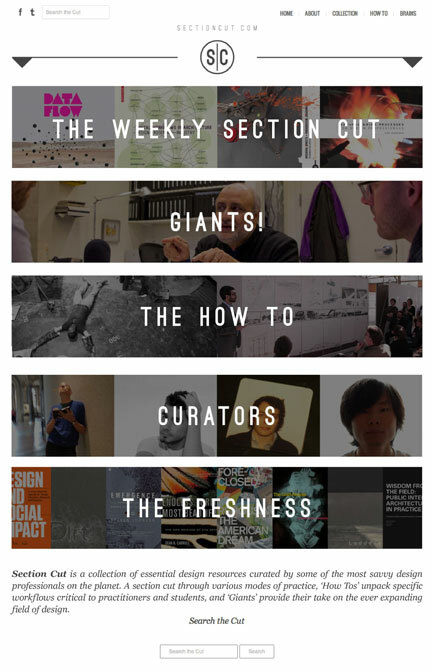 BAC Members of Faculty Kyle Sturgeon and Dan Weissman – along with colleagues Robert Yuen and Jono Sturt - have recently launched Section Cut: a website which compiles a trove of analog and digital design resources. The collection, curated by a growing team of fellow designers, boasts a variety of resources and ‘How Tos’ meant to greatly facilitate the design process. In addition to these efforts, the Section Cut Team organizes conversations with Giants in the design disciplines. A student's search for useful books, tools, or relevant precedents often takes up a great deal of time and energy. 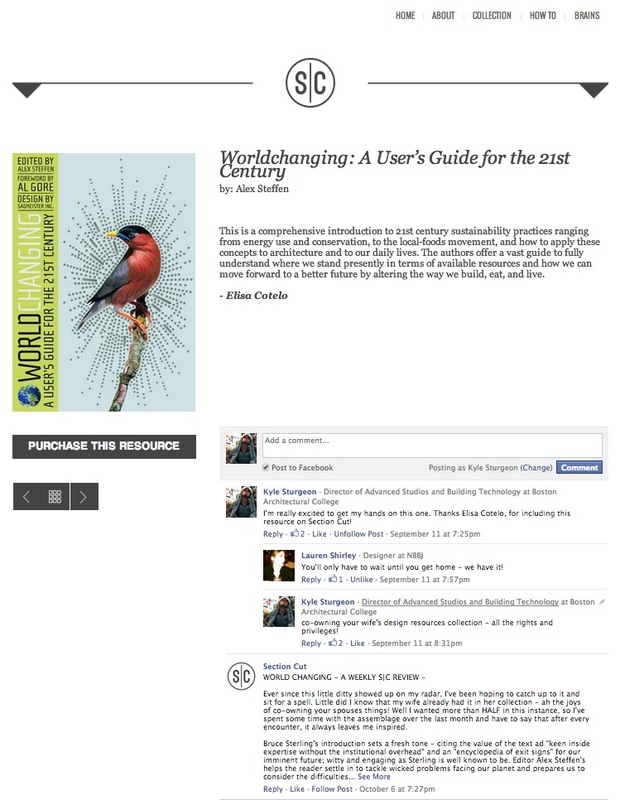 Inspired by memories of hunting endlessly for these kinds of resources – and knowing how much easier the search becomes with like-minded friends – the creators of Section Cut hoped to “put all that meta-knowledge in one place for students and professionals...to benefit from.” The website is streamlined, with a useful “Collection” tab organizing analog and digital techniques and resources into their respective areas. 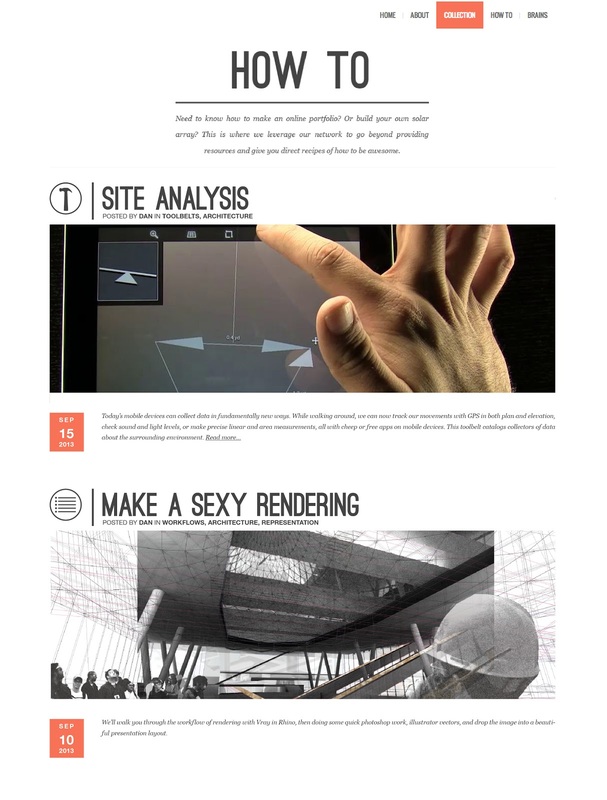 Section Cut features workflow tutorials under its “HOW TO” section, outlining the suggested steps and estimated time for crafting intricate models and completing a variety of design tasks. These tutorials are well-complemented by images, relevant videos, and links to more clarification and advice. Of course, Section Cut's extensive web of resources would be nearly meaningless if chosen arbitrarily. Fortunately, this is not the case. The endeavor was aided by guest contributors from multiple fields of design, a substantial amount of who are also BAC faculty. As a result, each and every submitted resource carries a handy explanation for its selection. Section Cut's ability to streamline design research makes it an extremely useful new resource for both students and professionals. Just as the website's stylish, minimal appearance hints at the talented design background of its creators, their pledge to “not promote anything without a specific testimony, tied to a real live human” bespeaks a collaborative, inclusive mindset that bodes extremely well for the website's future.